If iTunes could not backup the iPhone due to the iPhone disconnected during the backup process, and a dialog popped up like “iTunes could not backup the iPhone (‘name’) because the iPhone disconnected”, you may have no idea to fix this problem. Actually, this error message is usually due to the error of the USB or the connection. You can check if your USB cable adapter of iPhone is damaged or frayed, for this is more likely to cause the disconnection issues with a computer. Therefore, you can try to change a new USB cable to fix “iTunes could not backup iPhone because the iPhone disconnected” issue. When iTunes could not backup the iPhone because an error occurred, you may get some error dialog like: iTunes could not back up the iPhone (iPhone name) because an error occurred. This issue may be due to your outdated iTunes version. You can check if the iTunes version on your computer is the latest one. If your iTunes is not the latest version, you can try to download the latest one to install on your computer to fix “iTunes could not backup iPhone because an error occurred”. You only need to head to “Help > Check for Updates” in iTunes. Then it will automatically check the updates of iTunes. Here, you can download and install of the latest version on your computer. If the above two methods can not fix iTunes could not backup the iPhone issue and you really have no idea on how to solve the problem, you can try to use Leawo iTransfer to back up iPhone without iTunes. Leawo iTransfer can help you to manage up to 12 types of files and data, including photos, videos, music, contact, note, books, etc. You can use it to transfer and manage all these files and data between iOS devices and computer. First, you need to download and install this iTransfer on your computer. Now, let’s have a look at how to backup the iPhone with Leawo iTransfer. Here I would like to take photos for instance. 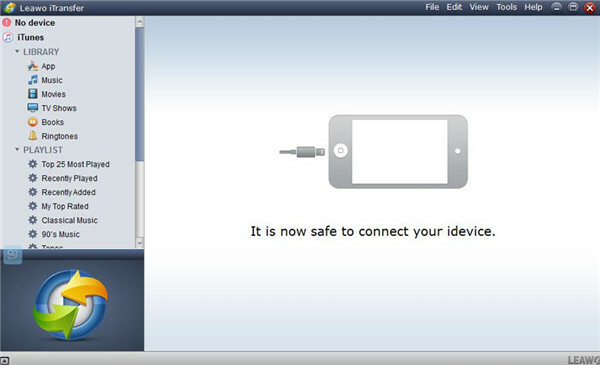 Run the Leawo iTransfer on your PC and then plug iPhone to the PC via USB cable. Leawo iTransfer will detect your iPhone automatically. When the iPhone libraries showed in the left interface, you can head to “iPhone > LIBRARY > Photos”. iPhone photos will be displayed in the right interface. Select photos you need to back up and right click one of them to choose “Transfer to > My Computer”. A dialog will pop up to ask you to choose the target output directory by click “Change” to browse folders. After that, click “Transfer Now” to transfer photos to PC. Wait until the transfer process is completed. As you can see in the above introduction, Leawo iTransfer has a say on how to fix iTunes could not backup the iPhone issue, for it can serve as an iTunes alternative to back up iPhone files. If you want to back up other files on iPhone, you can select the library you need refer to the specific steps. Leawo iTransfer is really quite fantastic to use to back up files. In the following part, I would like to introduce other solutions to help you if you don’t want to use the above 3 three methods. You can also use iCloud to back up iPhone if iTunes could not backup the iPhone. Here, I will set iPhone photos as an example. The following are the details. 1. Launch the “Settings” on your iPhone. 2. Click your “Name/Apple ID” on the top of the panel. 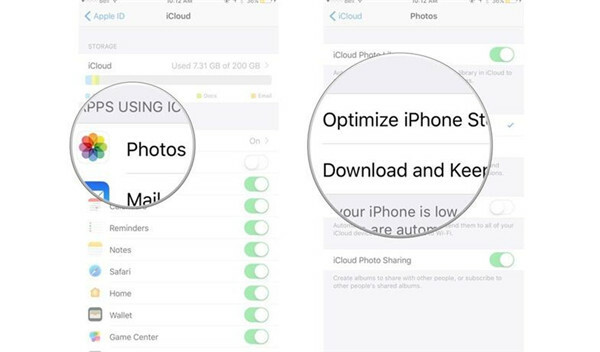 If you want to back up other iPhone data and files via iCloud, you can enable your needed library on iCloud through “Settings” on your iPhone. 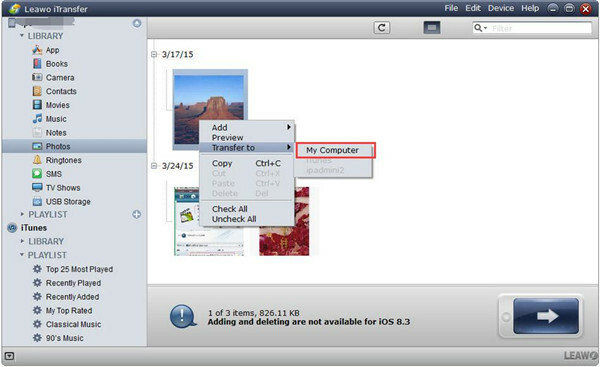 Then you will be able to view and manage the iPhone files on iCloud easily. You should know that the free storage space is only 5GB, but you can purchase more space in case you need. 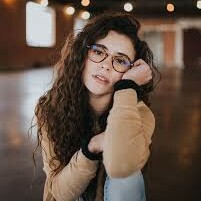 In conclusion, this guidance has introduced you some solutions to fix “iTunes could not backup iPhone because iPhone disconnected or an error occurred”. You can try to use these methods to solve the problem. However, I really recommend you to use Leawo iTransfer to fix this issue, for it is really convenient to back up iPhone via Leawo iTransfer.